The 12 month period of October 2014 to September 2015 was the hottest one year time-frame since record keeping began for the Arctic back in 1900. As a result of these record warm temperatures, Arctic sea ice during the Winter hit its lowest maximum extent ever seen. 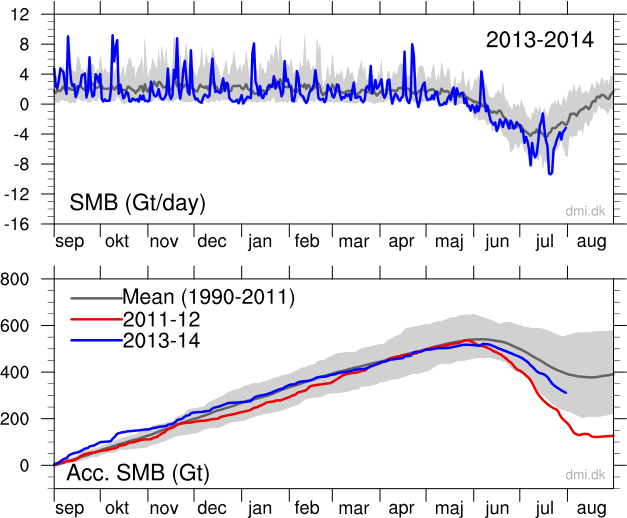 Summer sea ice extent was likewise greatly reduced hitting its 4th lowest extent ever recorded. Old, thick sea ice which represented 20 percent of the ice pack in 1985, has precipitously declined to a mere 3 percent of the ice pack today. Snow cover also took a hit, declining to its second lowest extent on record during 2015 and striking a range of 50 percent below the typical average for the month. Overall warming of the Arctic is at a much more rapid pace than the rest of the world. This accelerated pace of warming is due, in large part, to loss of snow and sea ice reflectivity during the Spring and Summer months. As a result, more heat is absorbed into dark land and ocean surfaces — a heat that is retained throughout the Arctic over longer and longer periods. And, though NOAA doesn’t report it in the above video, overall higher concentrations of greenhouse gasses like methane and CO2 in or near the Arctic region also contribute to a higher rate of warming (see NOAA’s ESRL figures). In a world that is now rapidly proceeding beyond the 400 ppm CO2 and 485 ppm CO2e threshold, this is exactly the kind of Northern Hemisphere polar amplification we would expect to see. NOAA notes a marked change in the distribution of life with mass migrations of all life forms well underway in and around the Arctic. Transitions and disruptions are most highly visible among marine mammals like walruses and polar bears — who are increasingly forced to live on land during the summer months. Meanwhile, an ever-broadening number of non-native fish are invading the Arctic from the south. NOAA also links the warm wind invasion events reported on widely here to the second worst wildfire season ever to strike Alaska in 2015. A dipole feature that displays teleconnections between Arctic snow and ice loss, the hot blob of water in the Northeastern Pacific, and the persistent trough that prevailed over the US East Coast during the Winter of 2014-2015. 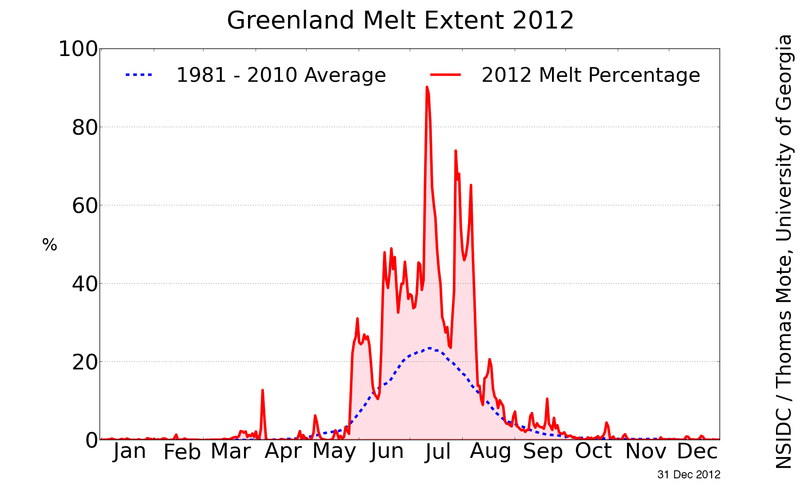 Finally, Greenland Ice Sheet surface melt hit a maximum coverage above 50 percent for the first time since the extreme melt that occurred in 2012. NOAA notes that the amount of ice delivered to the ocean by glaciers also increased across Greenland even as recent studies continued to find an increasing prevalence of glacial destabilization and acceleration among Greenland’s ocean-terminating glaciers. El Nino, Polar Amplification or Both? 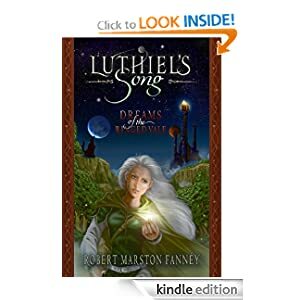 The great ice sheets are melting with increasing velocity. 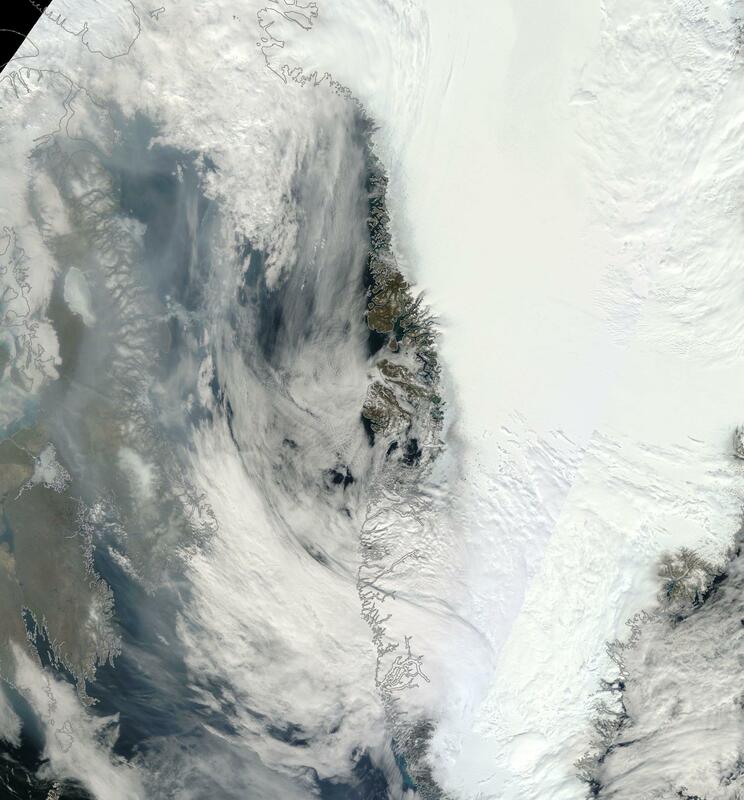 Melt ponds are forming over Greenland, then pounding heat down through the ice like the smoldering hammers of ancient Norse fire giants. Warming mid-depth ocean waters are eating away at the undersides of Antarctica’s great ice shelves. 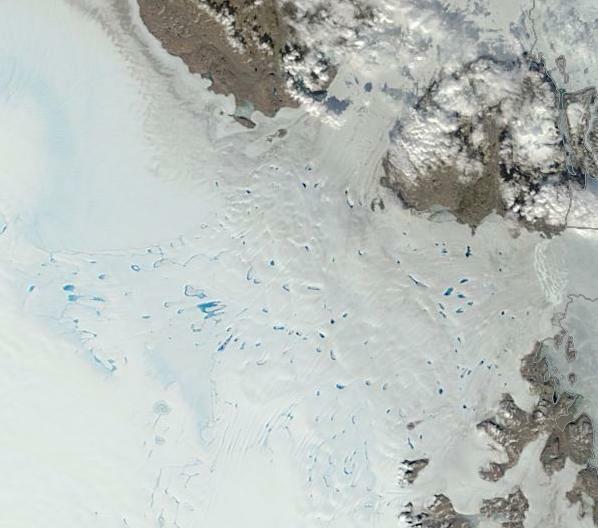 Pools of fresh water are expanding outward from the bleeding glaciers, flooding the surface zones of the world’s oceans. Sea level rise rates have jumped to 4.4 millimeters per year (see study here). 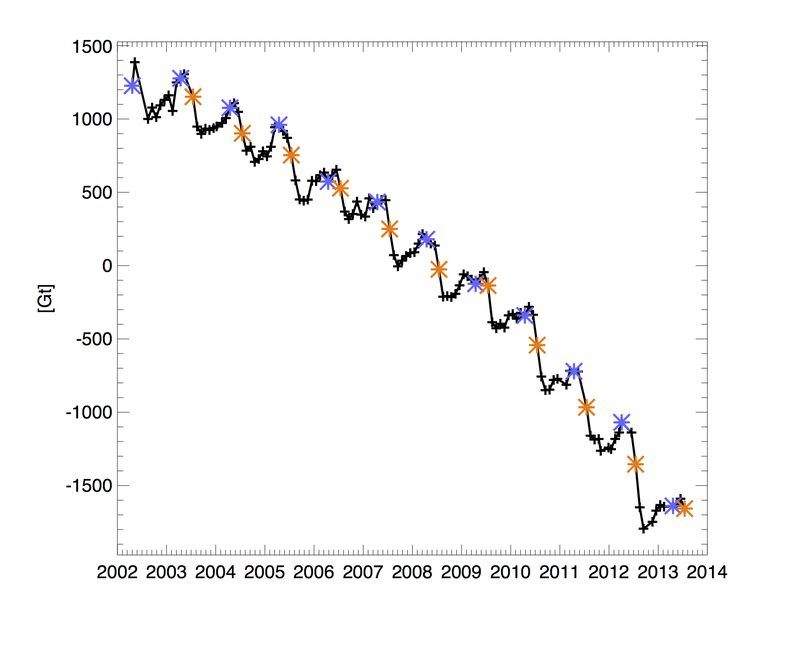 And the North Atlantic Overturning Circulation (AMOC) is slowing down. Keeping all this in mind, let’s talk a little bit about the ugly transition to phase 2 climate change. A transition it now appears we’re at the start of. The — you should have listened to Dr. James Hansen and read The Storms of My Grandchildren — phase of climate change. The awful, long, stormy period in which the great glaciers really start going down. In an effort to organize how human-caused climate change may proceed, it helps to break the likely progression of human-caused climate change down into three basic phases. For this simplification we have phase 1 — polar amplification, phase 2 glacial melt and storms, and phase 3 — runaway hothouse and stratified/Canfield Oceans. For this article, we’ll focus mostly on phase 1 and 2. During the first phase, human greenhouse gas emissions gradually add heat to the atmosphere. This causes general warming that is most intense at the polar regions, especially in the Northern Hemisphere. Called Polar Amplification, this added heating at the poles occurs due to greenhouse gasses’ ability to increase the atmosphere’s heat trapping efficiency at night, when the sunlight angle is low, or during periods of dimmer light (cloudiness etc). In addition, snow and ice melt cause albedo loss at the poles and greenhouse gasses sequestered within frozen carbon stores may release during warming as ice thaws adding another kick to polar amplification (amplifying feedbacks). Due to lower volumes of continental ice, more low-albedo land mass, more vulnerable carbon stores, and closer proximity to human greenhouse gas emissions sources, the Northern Hemisphere polar zone is most vulnerable to increased rates of warming during phase 1 climate change. Weather impacts during phase 1 include a slowing down of the jet stream due to loss of polar ice, a multiplication of slow moving weather systems, an increasing prevalence of drought and heavy rainfall events, and a slow ratcheting of the intensity of powerful storms. 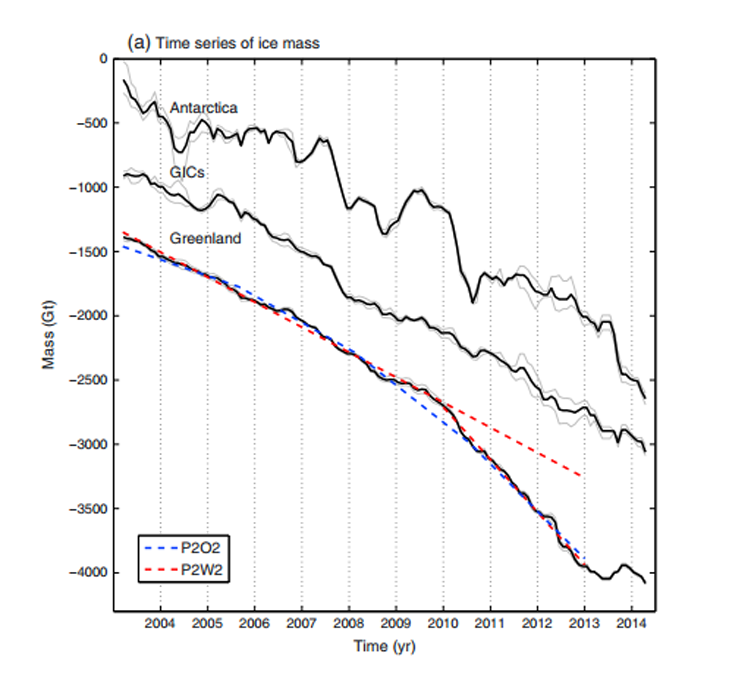 Phase 1 continues until ice sheets begin to become heavily involved and melt outflows greatly increase. At that point, we begin a transition to a more unstable period of human-caused climate change — phase 2. During phase 2, ever-increasing volumes of cold, fresh ice and water pulse out from the world’s glaciers. In essence, the great mountains of ice really get moving and there’s nothing left to stop them. 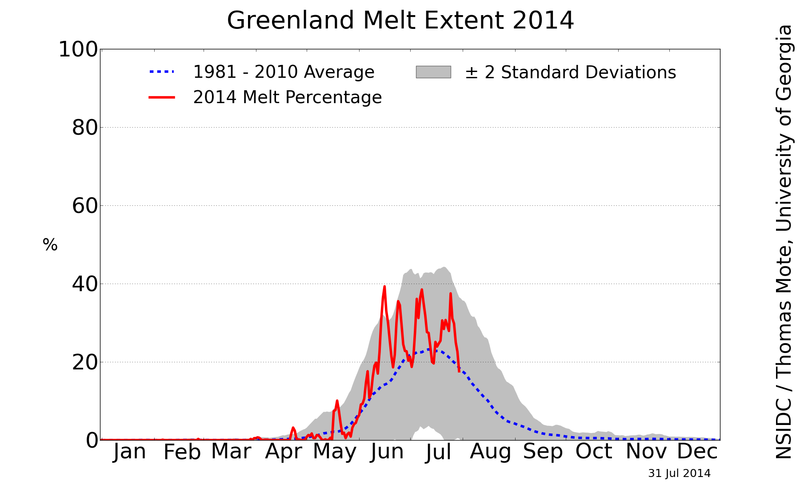 The glacial heat content has reached a critical point and the glaciers start moving and crumbling on a massive scale. A seaward avalanche that has essentially become unstoppable due to basic inertia. Due to highest levels of ice concentration, the regions seeing the greatest impact are areas adjacent to Greenland and Antarctica. Cold, fresh water and ice hitting these local ocean zones have numerous influences. The first is that the local fresh water acts as a lid on ocean-to-atmosphere heat transfer. 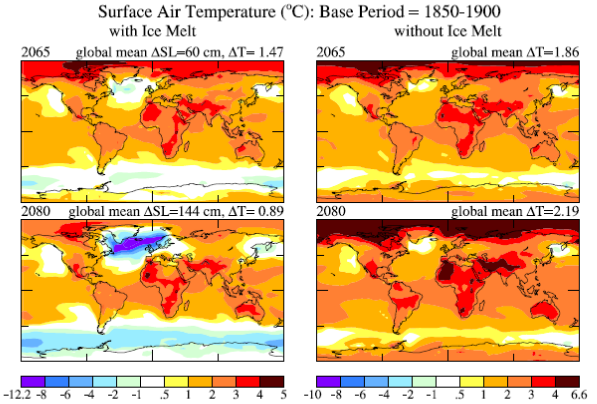 As a result, atmospheric temperatures in the region near large glacial melts will tend to cool. 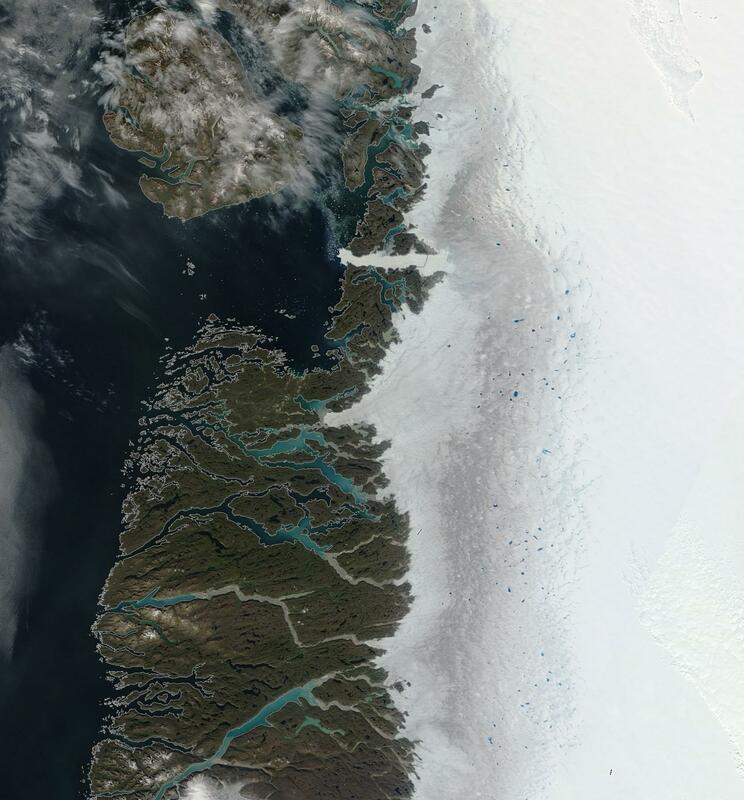 Warm, saltier surface waters near the glacial outflows are pushed downward by the lighter, fresh water — heating the ocean bottom zone and continuing to melt the underbellies of sea facing glaciers. Ultimately, the meridional ocean circulations in the North Atlantic and in the Southern Ocean are cut off. Deep water formation is driven toward the equator. This stops heat transport toward the poles in a number of regions resulting in equatorial heat amplification. Meanwhile, the impact of the fresh water ocean lid results in local atmospheric cooling near the glaciers — a counter-trend to a larger global warming. Weather-wise, we see a reverse of the trends first apparent during phase 1. The cooling of surface zones near the great glaciers puts a damper of phase 1 polar amplification. Meanwhile, the southward progression of fresh surface waters shuts down the oceanic coveyors transporting heat into the polar zones. As a result we see heat building up through a kind of ocean heat transport train-wreck in low latitude regions near the equator. The combined equatorial heating and near glacier cooling increases temperature gradients and amplifies the storm track. In the Northern Hemisphere, the North Atlantic sees the greatest counter-trend cooling influence in atmospheric regions due to glacial melt. Meanwhile, Arctic regions continue to see (somewhat slowed) warming conditions. The result is a shift of the center of cold air to an off-set zone more toward Greenland and a screaming storm track running oblong over the polar zone and centering over a trough in the North Atlantic. Amazing temperature differentials between the continents, the Polar zone, Greenland, the North Atlantic, the equatorial Atlantic and Africa result in the potential for continent-sized storms packing the strength of hurricanes according to a recent study by Hansen. 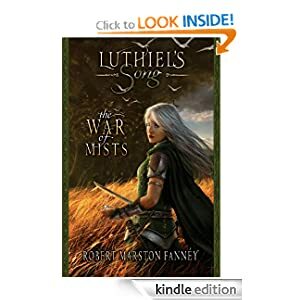 The storms would spin up as the unstable cold air over Greenland ravels and unravels in great frontal wings of cold air encountering the hot air roiling at the equator and building in sections of the Arctic and over the continents. Tropical storms forming adjacent to cold core storms would increase the potential for hybrid storm events. And extreme temperature gradients would provide high octane atmospheric fuel for baroclinic systems. 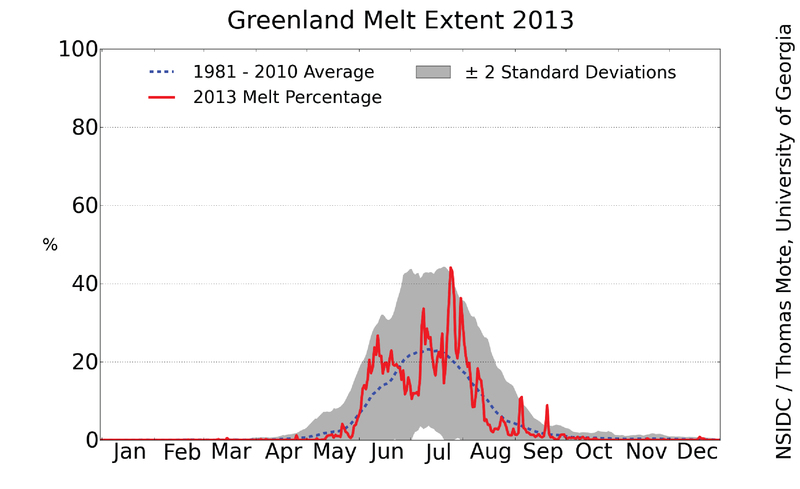 Finally, the great melt pulses themselves would supply periods of high global thermal variance. The pre melt pulse times would see rapid warming, while the post melt pulse times would see cooling. This up-down would periodically load and then wring the global atmosphere of moisture, resulting in high risk for extreme deluge events. Meanwhile, heat at the ocean surface is driven toward the deep ocean by the fresh water melt pulses issuing from the glaciers. So the melt outflows and storms of phase 2 climate change act as an amazing mechanism for atmosphere-to-ocean heat transfer. Which is really bad news for the health of the world ocean system. This phase 2 climate change age of storms lasts so long as large glacial outflows still issue from Greenland (in the North) and Antarctica (in the South). Since even under the most rapid pace of human-caused warming it would take hundreds of years for the great ice sheets to go down, what we are looking at is a period of possibly centuries. Avoiding phase 2 climate change, on the other hand, involves avoiding rapid destablization of Greenland and Antarctica’s ice sheets. An issue we may have already pushed too hard to prevent at least some of these storm, ocean, and weather destabilization impacts. As for phase 3 climate change — that’s a transition to a runaway hothouse and a stratified/Canfield Ocean state. And we really don’t want to see that either. But before we get there, it’s a transition to an age of glacial melt and tremendously potent storms.